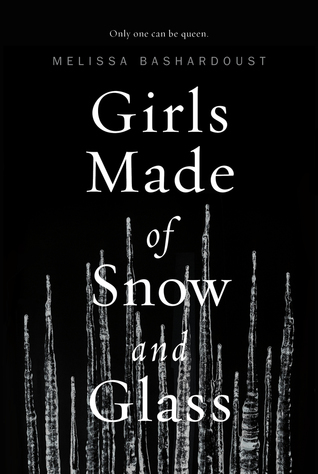 I really enjoyed Girls Made of Glass and Snow – hope you do, too! I’m doing BTB, good luck to you! I’m so excited to finally get to that one. Thanks. Good luck to you! Yay, you have some of my favorites in here! I really enjoyed American Panda and The Astonishing Color of After last year, and Starfish was one of my absolute faves in 2017. The Lies of Locke Lamora is also a lot of fun. 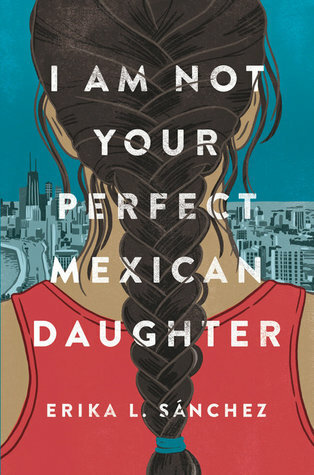 I still need to read I Am Not Your Perfect Mexican Daughter as well. I can’t wait for these titles (for real this time, a year will not go by before I pick them up). So glad you enjoyed so many and I trust your judgment so much. Oh man, so many of these are on my list too. Good luck! I hope we can both get to more than a few then! Thanks so much. 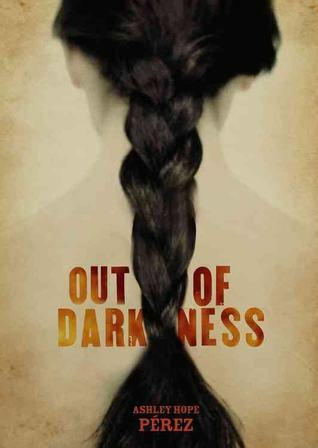 I think a lot of us have some unresolved issues with about physical TBR. If only we could stop buying books…nah. Lies of Locke Lamora!! Enjoy that! 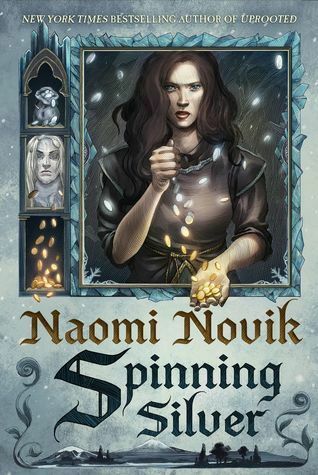 I still need to read Spinning Silver myself. I’m not making a formal list for the Backlist Challenge, but I’m working on the bingo cards. Good luck making your goal! I’m really looking forward to finally reading Locke Lamora. I’m sure we will both enjoy Spinning Silver. Thank you. Good luck with your bingo cards! I’m joining in. I didn’t make a TBR but I’m adding books I read along the way. I’ve done 3 so far so I’m very happy! Great job, Chrissi. I hope we both get to a lot of backlist books in 2019. I am so excited for The Girl in the Tower. The first book was so enchanting. I hope we both finally give in to reading Vicious. Thanks, Maren! I read three of these and liked them all. You have a nice mix of books up there. Good luck and I hope you enjoy them all. Thanks, Sam! I have no doubt this will end up being really enjoyable. Thanks, Lauren! I’m sure both of these will be incredible reads. I haven’t read any of these, but I’m mighty impressed that your backlog of books don’t seem to be from all that long ago. Nice job! Oh yes, these are definitely the oldest on my shelf. I don’t have a ton of others that have been on there for years. Nope, don’t know anything about that. 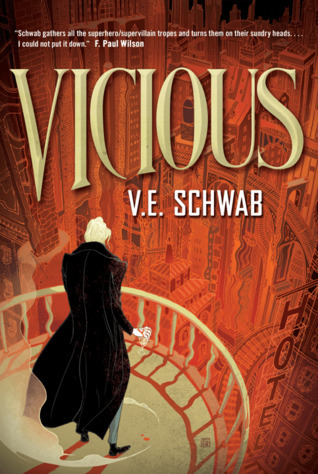 I hope we both get a chance to read Vicious and that we both enjoy it! Thanks so much. I feel like Vicious as been screamed at me many many many times. Good luck with the challenge! Spinning Silver is one I keep meaning to read as well. Thank you so much. I hope we both get a chance to pick it up soon! I haven’t read any of these books on your backlist challenge except Arden’s book so I can’t be any help in deciding which one to start off with. I enjoyed The Girl in the Tower though. I’m really excited about The Girl in the Tower and Spinning Silver. Thank you! I’ve been putting Lies of Lock Lamora on my tbr almost every month of last year but still ended up not reading it. The book blogging community also pushed me to actually check it out. Might not get into it this year as well though. Good luck with the reading challenge, Alicia! I hope we both get to it. All I hear is good things about it. Thank you so much! I’m doing this challenge too, it seems like such a good way to motivate me to actually get through my physical TBR. 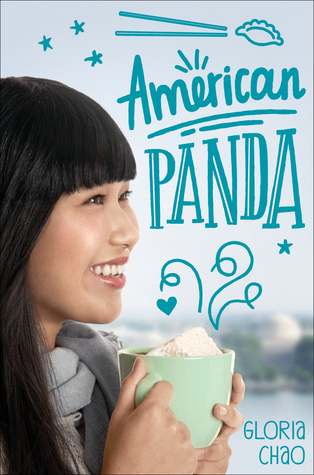 I loved Spinning Silver, American Panda, and Girls Made of Snow and Glass! I’ve been wanting to read The Bear and the Nightingale series, maybe this will be the year! Yes, I need extra motivation when it comes to pick these ones up. I’m so glad you like these. The Bear and the Nightingale is so beautiful. I’m sure you will enjoy it when you pick it up. Good luck with your TBR! I hope you’ll enjoy Vicious and The Girl in the Tower 🙂 I plan to read Girls of Snow and Glass this year too, I’ve been hearing nothing but great things about the book! Thanks so much! I hope we both end up enjoying Girls Made of Snow and Glass. Good luck with your TBR! 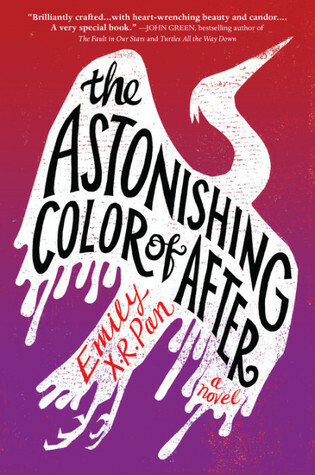 I really want to read The Astonishing Color of After, Starfish, and Spinning silver so I can’t wait to see what you think about them. They are all sitting on my shelf demanding attention, so I should pick them up soon. Good luck, I will definitely be rooting for you. I have a whole list of books I am hoping to unstack this year, too. The Lies of Locke Lamora is one of my favorite books of all time, so I really hope you enjoy it! Thank you so much! I hope I end up loving Locke Lamora as much as you! Thank you! I hear good things about both, so looking forward to reading them. Yes, hype can be funny that way. Hopefully this gives me the motivation to finally get to ones like Vicious.